Since 1998, the roots band has viewed his members change through time and has released 7 studio albums. 'It's not always about having the same players for five or 10 years, it's having the right chemistry for these songs at this time' John Butler declared. It appears as a need to change the band's members to boost its creativity and to push itself to its limits. At the moment the band is composed of John Butler on vocals and guitars, and his sidekicks Bryon Luiters on the bass and Grant Gerathy on the drums. The emblematic symbol of their unique sound is John's 12 strings acoustic guitar, only used with 11 strings. John is combining the acoustic sound of his guitar with a Marshall amplifier often used for playing rock music. Another unusual particularity is the use of a lap steel guitar, where the instrument is placed in a horizontal position. The guitarist also plays with a bottleneck, an iron tube used in blues to slide the notes on the neck of a guitar. It always keeps his audience spellbound. The EBow is also one of John's favourite tool, he uses it in some of his intros to imitate the sound of a violin is. You might know some of their songs such as 'Zebra' (from 'Sunrise over the Sea'), 'Betterman' (from 'Three') or the most popular one 'Ocean' (from 'John Butler'), an instrumental piece that John likes to improvise on and change every time he is playing it on stage. A youtube video of this song has reached 39 million views. It's particularly hard to define their style because it mingles folk, pop, and rock influences, country music with a hint of funk and reggae. This new album entitled 'Home' is musically different from their previous one called 'Flesh &amp; Blood'. In the song 'Home', with the collaboration of the producer Jan Skubiszewski, they have included electronic and even hip-hop sounds, in the manner of the Red Hot Chili Peppers. If you have any doubts about the results of this mix you just need to listen to the first track called 'Tahitian Blue' to see that it matches. The song 'Just Call' focuses on the encounter with his partner: 'I was on tour and I drove all the way around Australia and when I arrived in Broome, I actually pulled into this car park and I saw my wife standing there. I asked her to marry me 6 months after,' John said in a French radio interview. 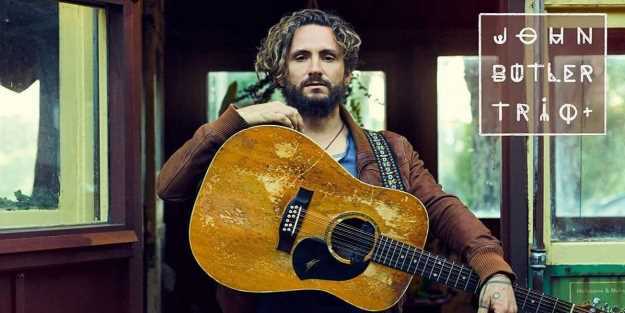 John Butler Trio is also a committed band, it endorses the fight for freedom and has even performed to protest against a proposal to industrialise the James Price Point area in Broome, Western Australia. If you love acoustic and instrumental guitar songs, you definitely have to leave an ear on John Butler Trio's new album. Not only is this new album unexpected but it is going to make a turning point in the career of the band and is to become epic.